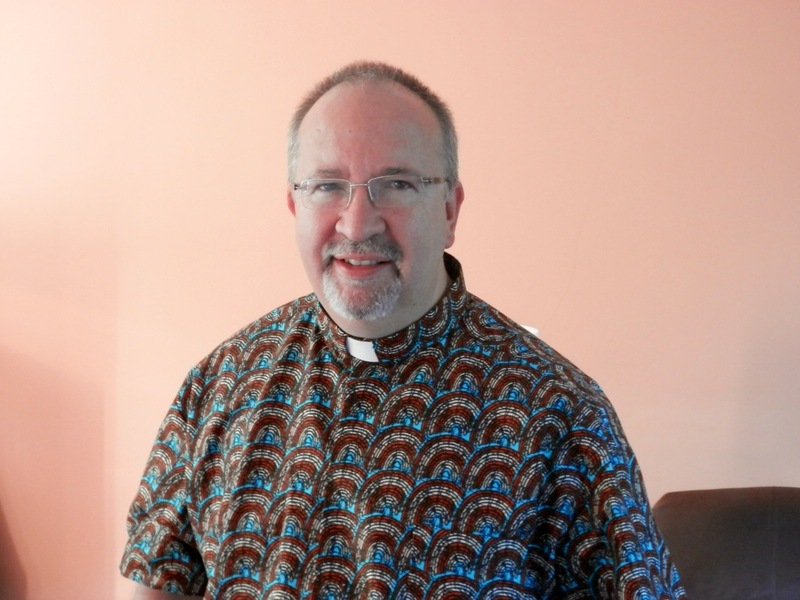 I’m wearing this amazing shirt in honour of Grace Manieson-Annancy and her work with children in Akosombo, in Ghana, about which you can read more in earlier entries in this blog. The shirt is made of cloth produced in Akosombo and bought by me from Akosombo Market when I visited in February. It was on that visit that I first saw Grace’s work among children there, encouraging them to develop their reading skills. With the help of books donated from East London, dozens of children are being given skills that will equip them for life. 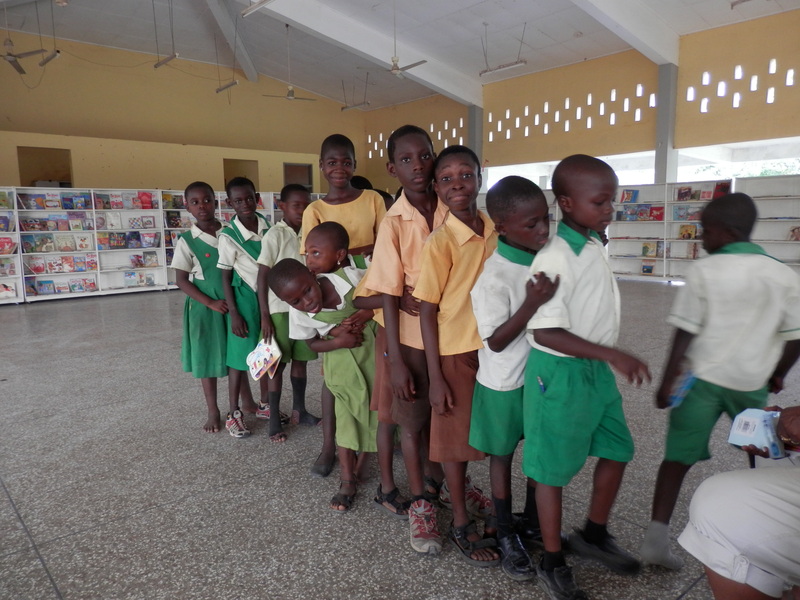 Last year, a generous donation funded some bookcases on which the reading material is displayed. 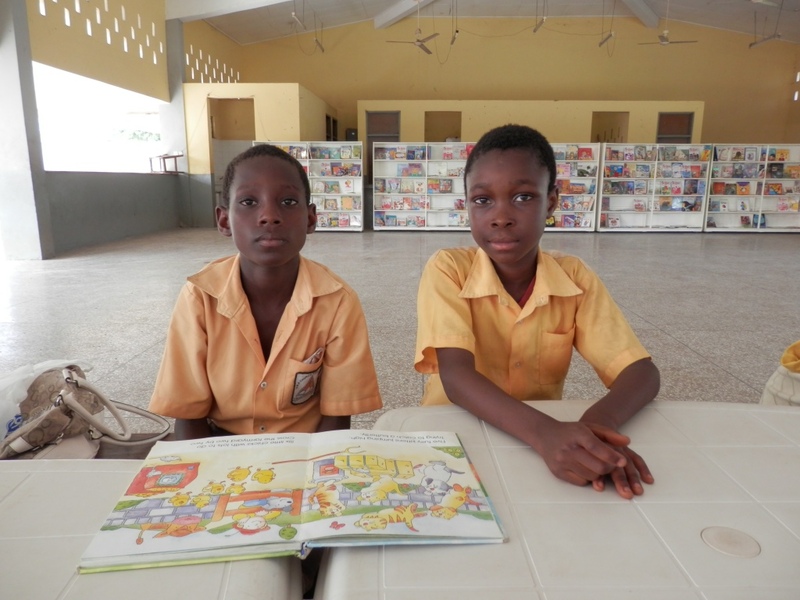 And this year, we started raising funds to build a permanent home – a library, if you like, that we’re calling ‘Grace’s Place’ – where children will be able to come and read in safety and comfort. If you’d like to support ‘Grace’s Place’ I’d be happy to tell you more, and to receive your donations. Email me at a.westham@chelmsford.anglican.org or read the rest of this blog for more info. This is an idea whose time has come! 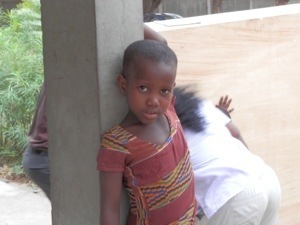 Since yesterday’s post, the plan to build a permanent home for Grace’s work has taken off. Already, I’ve had some excellent offers of help and emails from generous people wanting to donate. I can’t stress how important this is. 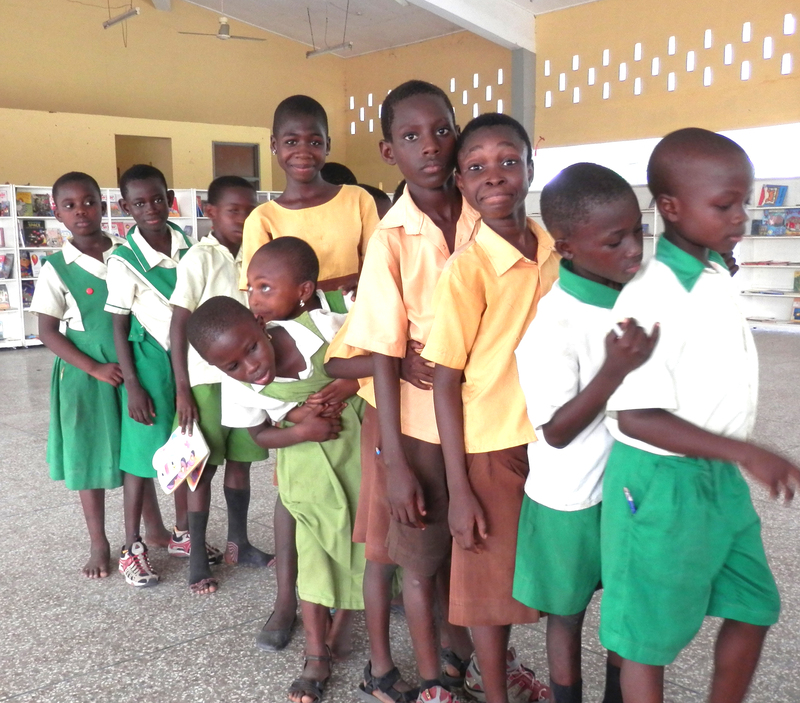 Grace Annancy has many years of experience in education, both as a much-loved teacher and as an inspiring leader, as hundreds of former pupils at Akosombo International School know. Now she has committed herself to this project and the children are responding in droves to her love and enthusiasm. We’re in the process of putting together some publicity material and arranging some easy ways to donate. But if you want to give now, please don’t hesitate! Just send me a cheque and I will make sure that every penny goes towards Grace’s Place. Please make it out to ‘Archdeacon of West Ham’, write ‘Grace’s Place’ on the back, and send it to me, Elwin Cockett, at 86 Aldersbrook Road, London E12 5DH. If you can include a Gift Aid declaration, so much the better.